Steve Ballmer announced his plan to retire: don’t worry (or be happy), such plans won’t come into effect sooner than a decade or so. "I tell people I’m planning on being here another — here at Microsoft another nine, ten years, till my last kid goes away to college. I’ve got to tell you, for all of us who are involved in this industry, there’s never been a better time. 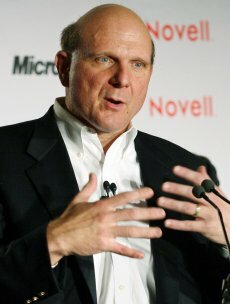 The next ten years will bring even more innovation and excitement and energy than the last ten," said Ballmer. It seems that retirement talk is the latest trend at Microsoft. As you already know, Bill Gates is supposed to step down his top position this July and only sped a small amount of time at Microsoft, working with the software development department. So, Bill is already (more or less) out, Ballmer is already looking forward to pull over, but who’s gonna take over from them? The first answer would be Ray Ozzie, currently holding the best position for such promotion. However, Ozzie and Ballmer are basically the same age and there’s no telling whether Ozzie isn’t planning his own retirement or not. On one hand, it’s not sure that Ozzie would be inclined to take over the top position at Microsoft and thus choose to end his career close to his seventies. On the other hand, I’m sure that at least some of Microsoft’s shareholders would like someone younger taking over. Unfortunately, it doesn’t seem to be anyone in Microsoft’s ranks fitting the profile. It’s true, ten years is a enough time to find someone worthy within your organization and show him or her all the ropes inside the Redmond company. Besides that, Microsoft is also a good destination for a young and ambitious person that already proved himself/herself by leading another company. I guess time will find the proper answer to this question. However, there is another question, perhaps more interesting than the one in the title: how big will Microsoft be in 10 years from now? The Redmond company has been in for a rough time recently. The Vista OS proved to be a disappointing release, the EU has been busy pounding Microsoft with heavy fines and things seem to be speeding up in the open source department. France, for instance, is moving forward with its program to replace its software with open source alternatives. The Windows OS and the Office suite are Microsoft’s main revenue sources and the market might be shrinking over the next few years. At present time, both Gates and Ballmer seemed optimistic about the company’s future, so many may doubt that trouble lurks ahead for Microsoft. Then again, Ballmer is the same man claiming that Vista is a genuine success on the market.